A few weeks ago I had one of those random conversations that inspires a blog. It was essentially about dedication and someone commented how easy I found it to stay focused. Personally I will admit now that I don’t always stay focused. lf my honest it’s not something I’ve really thought about although in the past my hubby has called me other things other than focused. These have included slightly insane and stubborn! But I guess my approach both in BJJ and generally all boils down to one simple thing – I like to keep moving forward in a positive direction. So what do I think is key to keeping moving forward in BJJ? Just getting on the mat is a win! Simply getting on the mat counts. I have some serious moments of presenteeism. I’m on the mats but basically there isn’t always anybody home. Work’s been bad, I’m tired or something else is going on. If I take in 5% of that lessons then that’s impressive. But that’s 5% more than if I had stayed at home eating chocolate and devouring a netflick boxset. I would love all my sessions to by high tensity, mind blowing sessions but the reality is I’m a part timer. I have life and work. Every session is precious and I should make them count and be a machine but the reality is sometimes that stepping out of the front door is the biggest challenge. 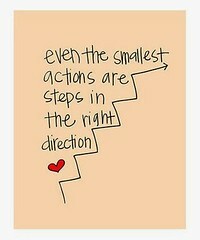 Every 5% is a positive step forward. Training needs to be fun. This is not my job, it’s my hobby (an expensive all consuming one at times but still a hobby!). If you’re hurting, injured and grinding yourself into the floor then it does stop being fun which makes it harder to keep putting yourself through it. Similarly your environment has to be fun. No gym training camp should be so serious that there is no room for banter. It might be at the end whilst cooling down or during warm up or on social media after the hard work is done but BJJ should be fun. If it’s fun then its way easier to motivate yourself to get on the mat. If it isn’t reflect on why it isn’t and make the changes you need for yourself to make sure that element isn’t forgotten! Yes competition focus the mind and your training (and I do compete frequently). But you do need to think why you’re focused on them. Is it based on you and your jiu jitsu or other things? If your main worries are about the team points, the team needing you to win, not letting down your coach, winning, or because if you don’t then you’re not getting promoted (yes i’ve heard that one!). Then you need to stop and rethink about why you’re stepping on the mat. Yes those things do cross my mind. I don’t want let people down especially myself by not performing my best but at the end of the day my coach respects me for competing and the jiu jitsu I show on the mat. It’s not all about the result it about the performance. I love shiny things (medals) but it’s about setting a point in time to test my skills not the result. More recently I’ve tried to be more selfish with my competitions – I just can’t do them all anymore and I’ve stopped enjoying them so much. So I pick ones with my friends, where there will be more brackets nearer to my own weight or age or where I can have a cool trip with my hubby! I have an excel spreadsheet. I started it this year. In it I put all the key jits related things me and my hubby do. I thought it would be quite a small thing but actually there are dozen of entries on it. It not just about diary planning (the original reason I did it) but it’s created a chance to sit down and reflect on what I’ve done, achieved and experience. It’s particularly useful when feeling sorry for myself and my jits to remind myself how much jits has given me in return for my effort beyond medals. On a similar note – have you ever sat down and looked at one of your early game plans, training diary entries or first comp videos? Have you ever done a then and now? It so easy to judge yourself compared to other people or what you think you should be able to do that you forget the distance travelled. 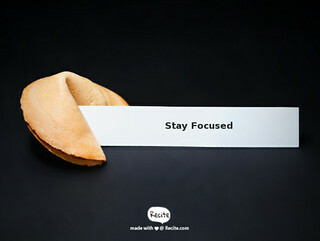 Focus doesn’t just come from looking forwards but also looking back and appreciating the result of your labour. Sometime I throw competition out of the window. I pick something I’m not brilliant at, focus on it during a private lesson and then spend the next few weeks focused on improving that aspect of my jits. It means starting in weak positions, getting squished and potentially having a miserable time in rolling but sometimes it’s about moving beyond competition or a specific A game plan (at the end of the day I’m a blue belt – there is a whole world of jitsu to explore!). It’s about being a better JiuJiteiro. There is something totally relaxing and non pressuring regarding working something new just for fun! Plus occasionally one of these techniques become your new killer move longer term and without that time exploring you’d never have known! Similarly if you want to take some time away from your gym. Catch up with friends who are at another gym, pop into their open mat or catch a class. A change of scene sometimes is better than a break plus it’s always good to see friends. If you’re demotivated and unhappy and just can’t find your jits mojo then just stop! Taking a break is way better than quitting. Re discover life and wait till the hunger retains. Pop down to the gym and do what you want to do. Perhaps cross train, do more judo, wrestling or weights but be really selfish! This time last year a few things happened where I was just burnt out. I’d done loads of things and in hindsight several of them had been due to external reasons and expectations. I was feeling pretty miserable. Plus I felt my life needed my attention. So I took my foot of the gas. Only did the sessions I enjoyed. I did a lot of xmas parties, socialising, drinking and eating and just took time off. Yes it meant I got a bit of mat rust and it took a few weeks to get back to the fitness and speed but it was a brilliant move as it bounced me into a really successful time in my jits. It also gave me the time to have a proper think about what was next move for me and why I hit such a deep funk in the first place! I hope you find my ramblings and reflection useful. I think the BJJ lifestyle often projects a forever enthusiastic and motivated image so it’s often hard to admit to the wobbles that we all have. Feel free to message me or comment with your own thoughts, hints and tips on staying focused.